Men carrying the Captive Jesus "paso". 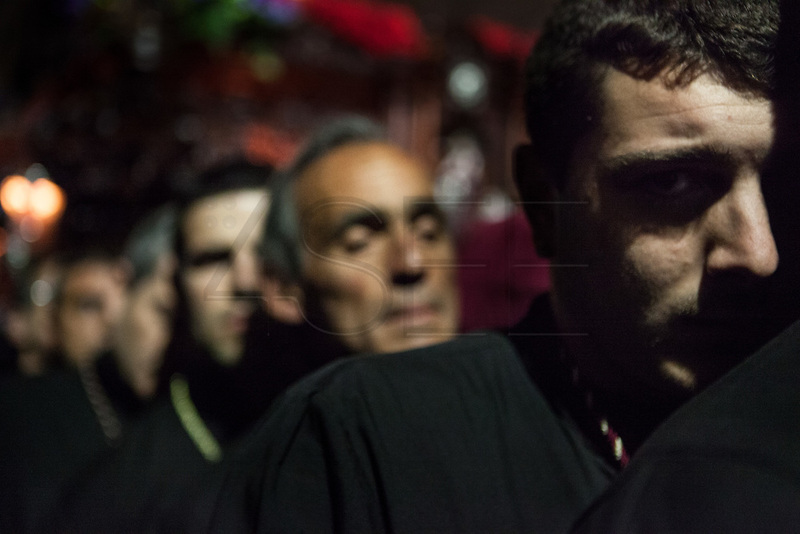 Procession of the arrest of Jesus in the city of Mataró (Barcelona), Spain. Easter 2013, Eva Parey/4SEE.